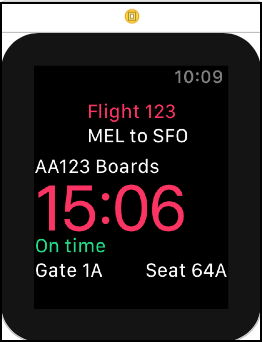 In this watchOS 4 tutorial for complete beginners, you’ll learn how to create the user interface for a fictional airline called Air Aber. Update Note: This tutorial has been updated to Swift 4/watchOS 4 by Audrey Tam. The original tutorial was written by Mic Pringle. In this watchOS 4 Tutorial, you’ll build a simple but fully functional watchOS 4 app. 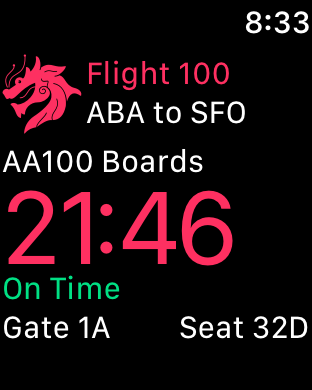 Specifically, you will work on a Watch app for a fictional airline called Air Aber. 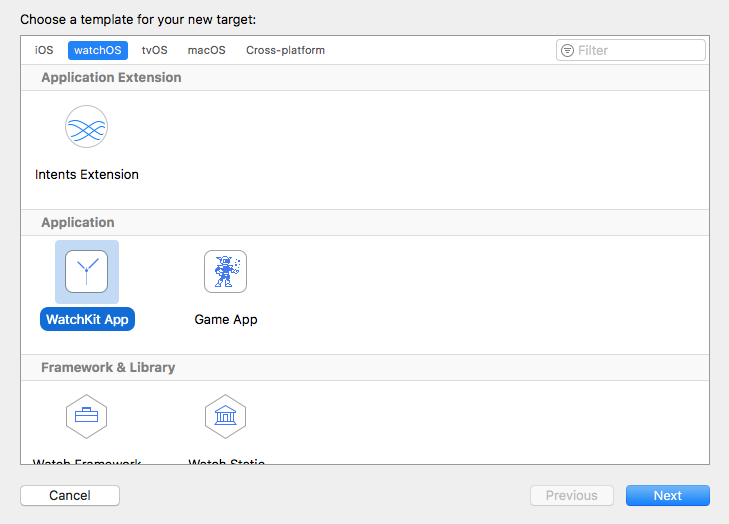 How to add a watchOS 4 target to an iOS app. How to share data across the two targets. 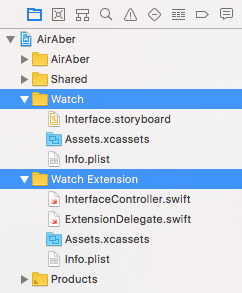 How to add a watchOS 4 interface controller to the Storyboard, and lay out the interface objects. How to create the WKInterfaceController subclass, and wire everything up. Start by downloading the starter project for this tutorial. There’s not much to this project as it stands: it includes a few helper files you’ll need, and not much else. You’ll address that now! 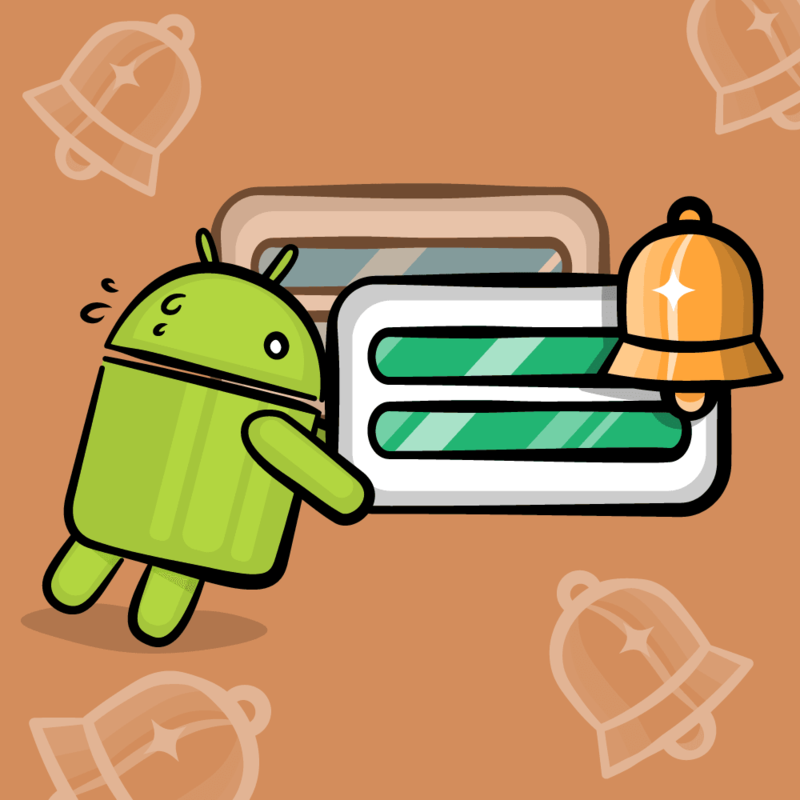 Congratulations, you’ve just created your first Watch app! It really is that easy. You’ll notice this action actually created two targets, not one, and two corresponding groups in the Project navigator. This is because the code of a Watch app actually runs as an extension bundled within the Watch app, in much the same way Today extensions on iOS work. 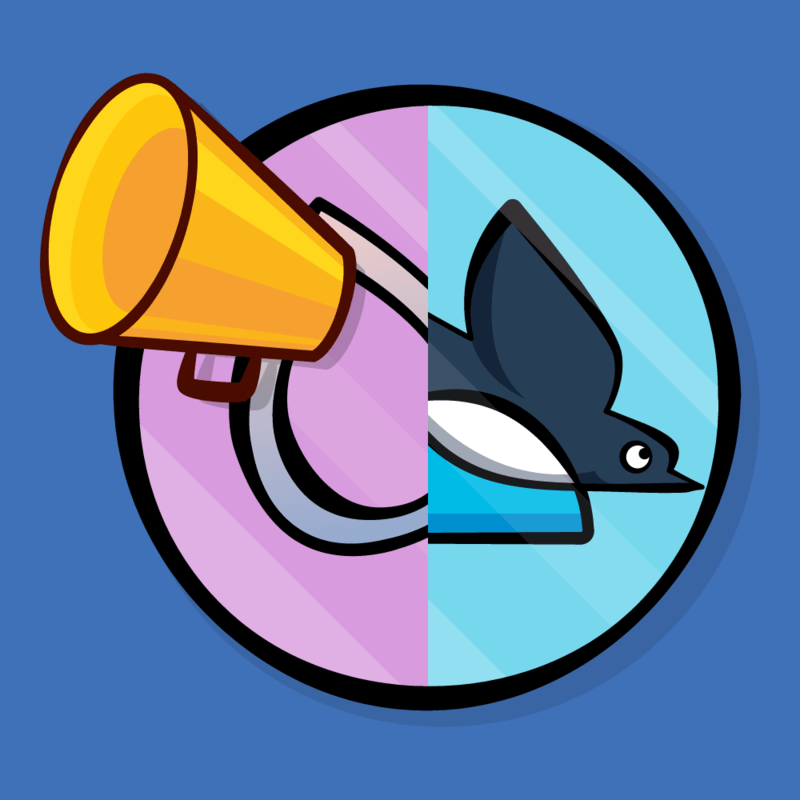 Here’s the pattern you’ll follow moving forward: any code you add must reside within the Watch Extension group, and be added to the Watch Extension target, whereas any assets or storyboards must be added to the Watch group. Before continuing, you need to remove a couple of things added by the target template that you’re going to replace. Next, open Interface.storyboard, select the only interface controller in there, and hit the delete key. 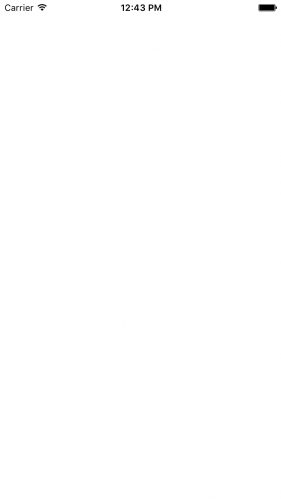 This should leave you with an empty storyboard, or as I prefer to think of it, a blank canvas. The starter project includes a JSON file containing all the Air Aber flight details, and a model class that represents that data. This is exactly the kind of thing that you should share amongst targets, since it’s highly likely the iOS app and the Watch app will use the same model class and data – you do remember DRY, right? 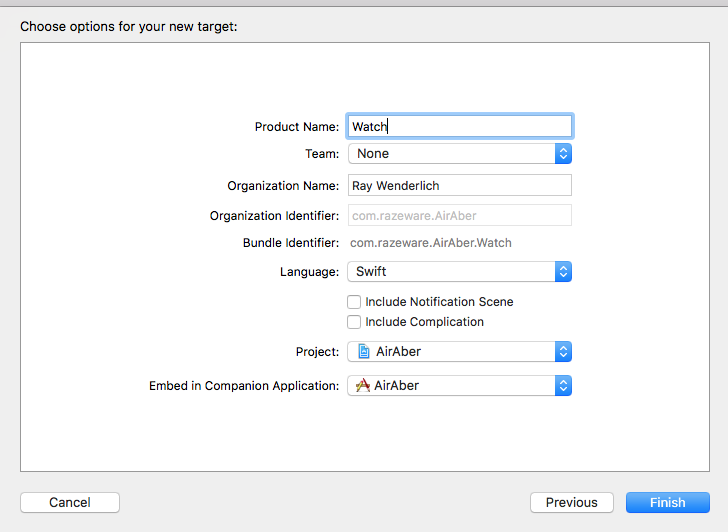 The file is now included in both the AirAber and Watch Extension targets. Repeat the process for the other file in the Shared group, Flight.swift. And with that done, you can finally begin building the flight details interface! Here, you’ve set the identifier so you can refer to the interface controller in code. Checking Is Initial Controller simply informs WatchKit this is the interface controller you want to display when the Watch app first launches. This interface doesn’t download any data, so it doesn’t need to display the activity indicator. In order to simplify this tutorial, you will build your layout only for the 42mm watch. For your own apps, you’ll want to verify that they work properly on all watch sizes. At the bottom left of the storyboard pane, ensure that it says View as: Apple Watch 42mm. Watch app layout is completely different from iOS layout. The first thing you’ll notice: you can’t move or resize UI objects by dragging them around in the interface controller. When you drag an object onto the controller, it slots in under the previous objects, and the screen fills up pretty fast. To organize objects side-by-side, you use groups, which are a lot like stack views in iOS and macOS. Although it doesn’t look like much now, this group will eventually contain the Air Aber logo, flight number and route. With the new group selected, head over to the Attributes inspector, and change Insets to Custom. Four text fields appear, where you can manually set the top, bottom, left and right insets of the group. This simply gives the layout group a little extra padding at the top. 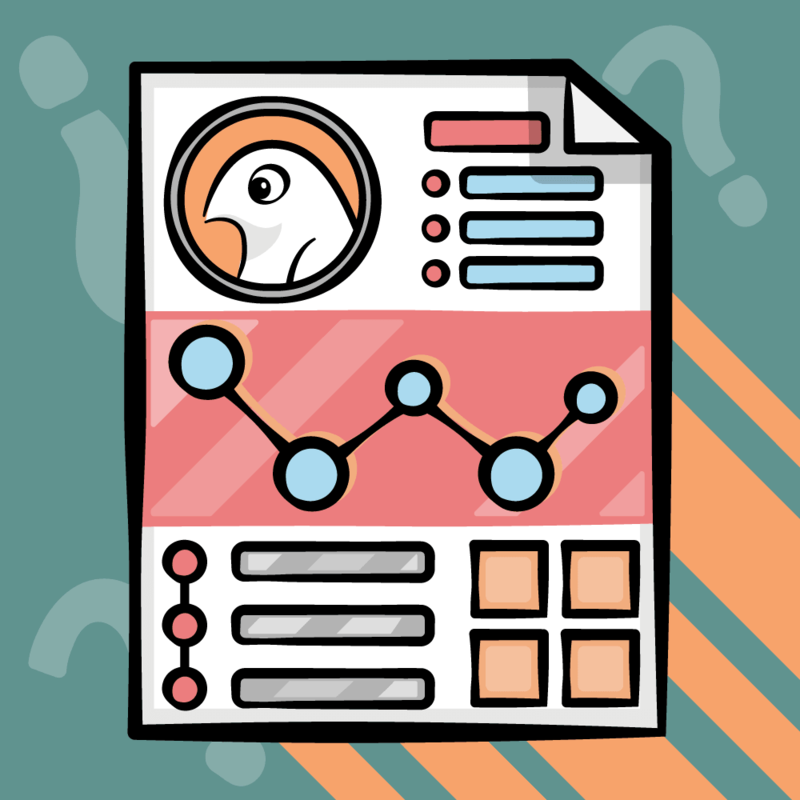 You want to tint this image to Air Aber’s corporate color, so select the image, then in the Attributes inspector, set Render As to Template Image. Set Image to Logo – if it doesn’t appear in the dropdown, simply type it in. Set Tint to #FA114F (you can type this in the Color RGB Sliders panel). Set Width to Fixed, with a value of 40. Set Height to Fixed, with a value of 40. Don’t worry if you can’t see the logo: it turns out Xcode doesn’t tint template images at design time! Trust me, it’ll be a vibrant pink when you build and run! Next, drag another group into the existing group, making sure it appears to the right of the image, and use the Attributes inspector to change its Layout to Vertical. Also, change Spacing to Custom\0 and Width to Size to Fit Content. 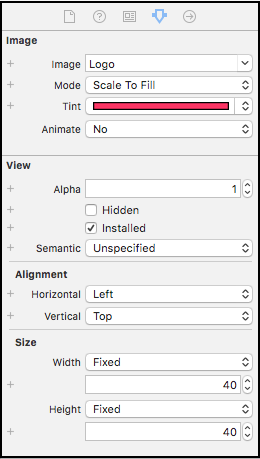 Select the upper label, and use the Attributes inspector to set Text to Flight 123 and Text Color to #FA114F (instead of typing this into the RGB panel again, you can select the pink color from Recently Used Colors in the Color menu). This text is simply placeholder text that’ll be replaced when you hook the interface up to its controller class. Next, drag another group onto the interface controller, but this time make sure it’s a sibling of the very first group you added. If you can’t get the group positioned at the correct place in the hierarchy, use the document outline instead. 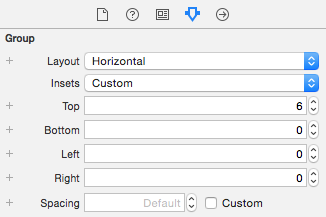 With this new group selected, set its Layout to Vertical and Spacing to Custom\0. Check in the document outline to make sure all three labels are inside the group, not siblings of the group! 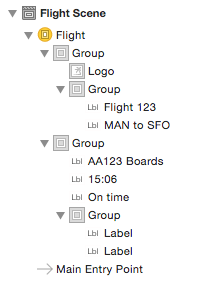 Select the top label, and use the Attributes inspector to change its Text to AA123 Boards. Next, select the middle label, and change its Text to 15:06. Next, change Text Color to #FA114F and Font to System, with a Style of Regular and a Size of 54. Finally, change Height to Fixed, with a value of 44. Select the bottom label, and change its Text to On time and Text Color to #04DE71. Now you only have to add one more group, before you create the outlets, and have this interface display some real data. Use the Attributes inspector to set Text to Gate 1A for the left label. For the right label, set Text to Seat 64A, and set Horizontal Alignment to Right. 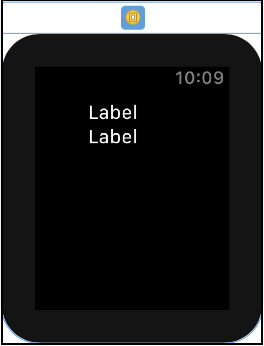 Congratulations, you’ve finished laying out your very first Watch app interface! Now it’s time to populate it with some real data, and get it up and running in the simulator. Click Next, and then Create. When the new file opens in the code editor, delete the three empty method stubs, so you’re left with only the import statements and the class definition. Here, you’re simply adding an outlet for each of the labels you added to the interface earlier. You’ll hook them up in just a moment. You declare an optional property of type Flight. 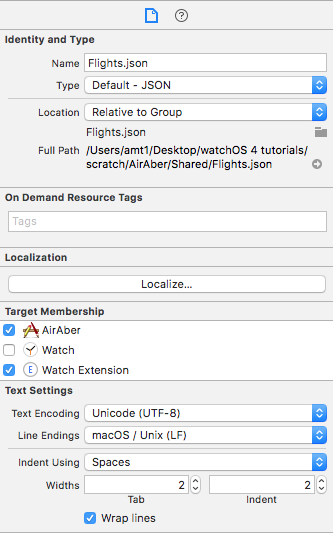 This class is declared in Flight.swift, which is part of the shared code you added to the Watch Extension target earlier. You add a property observer that is triggered whenever the property is set. You make sure there’s an actual flight rather than nil in the optional property. You only want to proceed with configuring the labels when you know you have a valid instance of Flight. 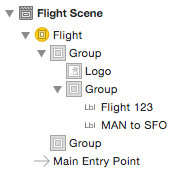 You configure the labels using the relevant properties of flight. If the flight is delayed, you change the text color of the label to red. In the next part of this series, you’ll change this implementation to use the context that’s passed to it, but for now, you simply load all the flights from the shared JSON file, then take the first one from the array. 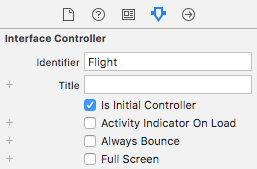 Note: awake(withContext:) is called after the controller is loaded from the storyboard, and all its outlets are set up, so it’s a great place to set flight. Now, there’s one final step before you can build and run, and that’s to connect the outlets. Open Watch\Interface.storyboard, and select the interface controller. 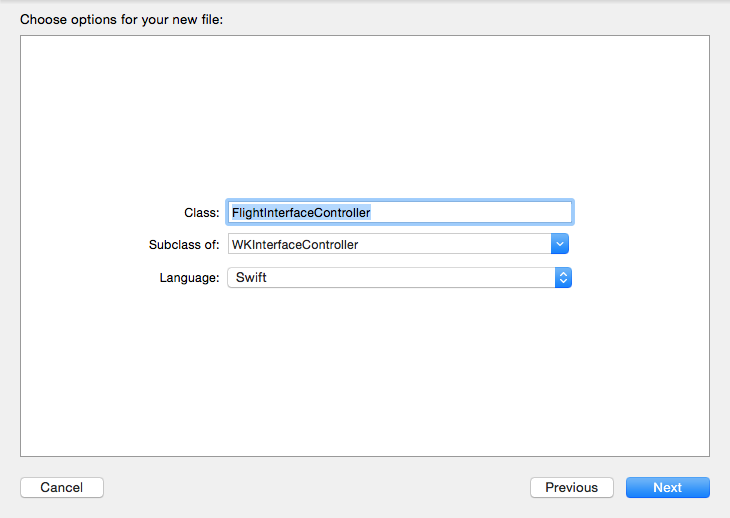 Using the Identity inspector, set Custom Class\Class to FlightInterfaceController. Before you hit run, there’s just one more thing to do. The sample app you’re building throughout this tutorial has been designed for the 42mm Apple Watch, so you need to make sure you have the correct watch simulator set up, otherwise some things may look a little off. For a real world app, you’d want to make sure your interfaces work equally well across both sizes of watch, but that’s outside the scope of this tutorial. Note: If you receive an error message stating the installation failed, then you can either try again with Xcode, or manually install the app in the watch simulator. 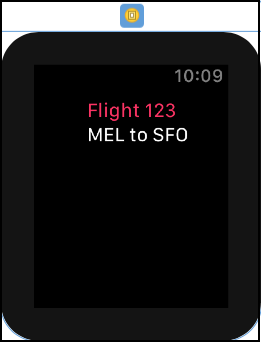 To do this, open the Watch app in the iOS simulator, tap on AirAber, and then flick Show App on Apple Watch to On. 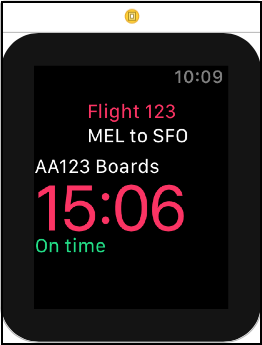 Once that’s done, jump back to the watch simulator, tap the Digital Crown to navigate to the home screen, and then tap the AirAber icon to launch the app. Here is the finished example from this tutorial series so far. 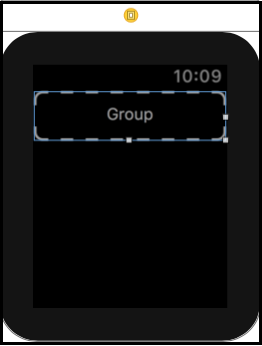 In this exercise, you’ve learned how to add a Watch app to an existing iOS app, how to create an interface controller, and lay out a pretty complex interface using nested groups, and how to tie the whole thing together using a WKInterfaceController subclass. So, where to next? Part 2 of this tutorial series, of course! 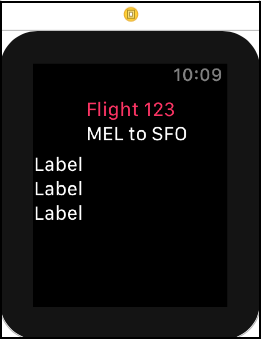 In Part 2, you’ll learn all about tables and navigation in WatchKit. 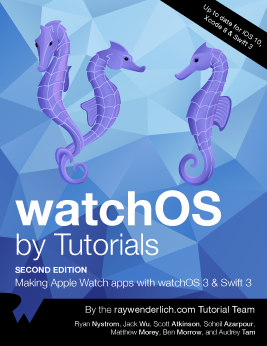 If you enjoyed this tutorial series, you’d definitely enjoy our book watchOS by Tutorials. The book goes into further detail on making watchOS apps and is written for intermediate iOS developers who already know the basics of iOS and Swift development but want to learn how to make Apple Watch apps for watchOS 4. It’s been fully updated for Swift 4, watchOS 4 and Xcode 9 — get it on the raywenderlich.com store today!